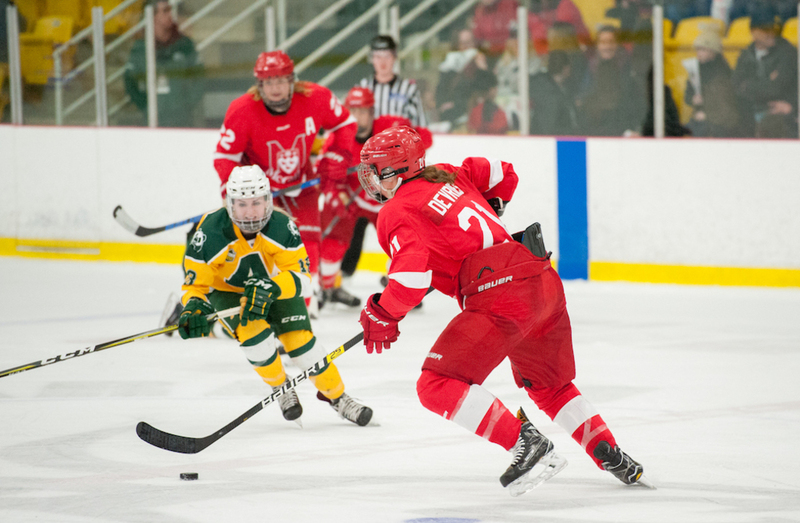 Stéphanie Desjardins’ late-game heroics propelled the McGill Martlets to the gold medal game, as they knocked off the top-seeded Alberta Pandas 1-0 on Saturday. Desjardins added that her third period marker was the biggest of her varsity career. 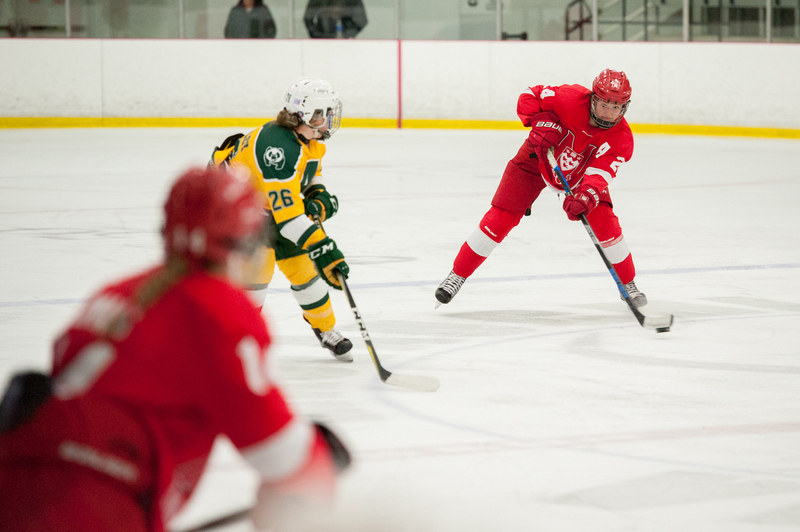 After a 10-goal performance the night prior, the Martlets were dealt a semifinal matchup against the best defence in the country in the Pandas, making goals hard to come by. Aside from a couple of good chances from Player of the Year Alex Poznikoff, both teams battled hard defensively and limited one another’s opportunities to take the lead. The opponents attempted seven shots apiece in an evenly matched period. McGill had their best chance of the game midway through the second, when Léa Dumais took a long feed and went in alone for the breakaway, only to get denied by Kristen Chamberlin, who slid to her right and made the big save on Dumais’ backhand attempt. After two, the Pandas and Martlets were still knotted up at zeros. The deadlock was finally broken at 15:38, when Jardin battled for the puck in the corner and centered it to Desjardins, who sniped it past Chamberlin for the clinching goal. Desjardins gave credit to her teammates, saying this is the best team she’s ever been part of. 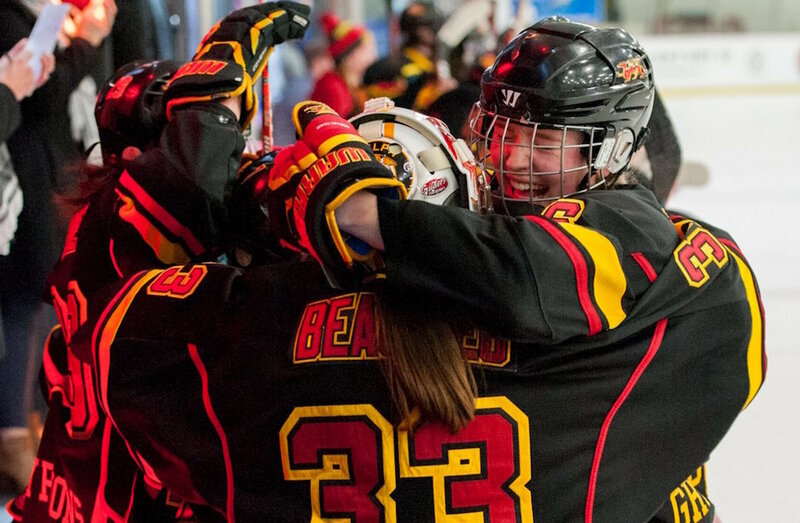 The stage is now set and the Martlets have a date with the Guelph Gryphons, but only one will come away national champions. Puck drops at 5 p.m. ET / 2 p.m. PT.